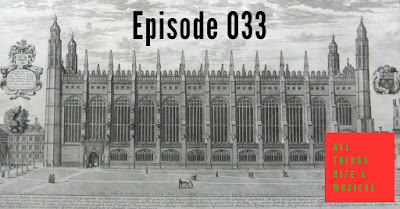 A conversation about Christmas Lessons and Carols after the 100th anniversary of this service being sung at King's College, Cambridge. King's College Order of Service from 1918. King's also has a more detailed history of the service. Book of Occasional Services 2018 includes a "Christmas Festival of Lessons and Song"
1. What is the RCL gospel for Christmas 1 if not the prologue to John? The Orthodox Church uses the Matthew pericope associated with Holy Innocents, which always struck me as an excellent way to tell more of the larger Christmas story that most people otherwise don’t hear. 2. Using L&C as the liturgy of the Word on Christmas 1 is an excellent way to utilize the material and provide an opportunity to sing everybody’s favorite carols. As is 12th night or New Year’s Eve. I’ve also seen it used in place of Vespers or Evensong on Christmas 1 or as a “Christmas Vigil” at the midnight Mass on Christmas Eve. 3. No matter when or how Christmas L&C is done, it should never outshine the Easter Vigil as an immersion in salvation history readings. If there are 9 readings at Christmas L&C, then the Easter Vigil should also have at least 9, if not more.